Our Match Director Polecat Joe shooting a fun and fast STAGE 2. El Sid shooting Stage 1 at our March Monthly Match. OK Corral Outlaws created an event. OK Corral Outlaws March Monthly Match pictures. OK CORRAL OUTLAWS MONTHLY MATCH IS SCHEDULED – SATURDAY, MARCH 23 At the OK CORRAL GUN CLUB, Okeechobee, FL Sign In begins at 8:30. 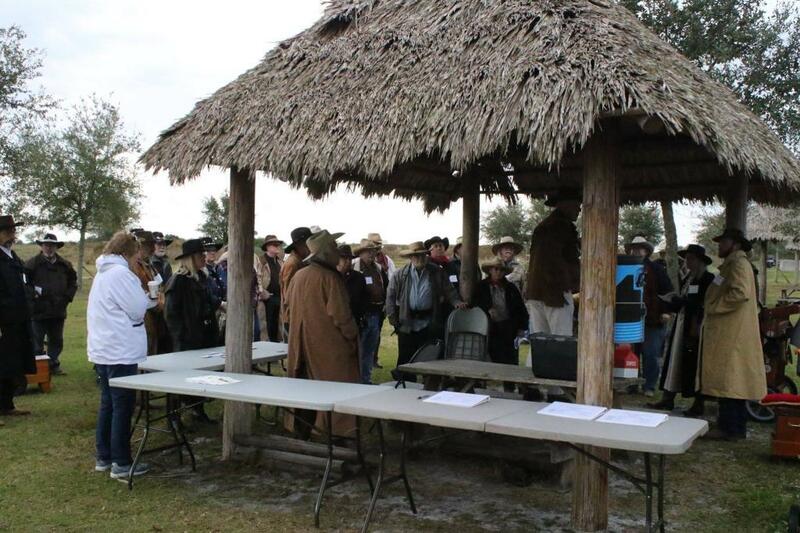 Safety Meeting and Match start at 9:00 Six stages are planned thi...View MoreOK CORRAL OUTLAWS MONTHLY MATCH IS SCHEDULED – SATURDAY, MARCH 23 At the OK CORRAL GUN CLUB, Okeechobee, FL Sign In begins at 8:30. Safety Meeting and Match start at 9:00 Six stages are planned this match. All SASS Rules Apply. Match Director: Polecat Joe Fee is $25.00 for the match, and entire day of static range shooting at the club. (Fee is waived for shooters having an OK Corral Gun Club annual or seasonal static range membership) Stages are posted. Join us. Hope to see you all. The OK Corral Outlaws would like to congratulate one of our fellow Outlaws, Ace Hanlon, on his first place Cattle Baron finish this past weekend at the International Black Powder Championships up in F...View MoreThe OK Corral Outlaws would like to congratulate one of our fellow Outlaws, Ace Hanlon, on his first place Cattle Baron finish this past weekend at the International Black Powder Championships up in Fort White, Florida. Much deserved from a hard working and very helpful cowboy. We can't wait to see that shiny belt buckle in a few weekends at our monthly shoot! Thats a good video. And love the Steve N Seagulls. Thanks, I am going to start making them more often. I hope it'll help recruit some more shooters my age. I love Steve N' Seagulls. They are awesome! Please do. The videos are terrific. Damn that looks like some fun! I will have to use up some vacation time soon! I love the down range movement and the props... just think of the possibilities to screw up! It is a lot fun shooting here. Gold Coast is limited on the down range movement because all of the stage are in the same bay. AT OK Corral, each stage has it's own bay.